A significant source of toxicity for cats that is unknown to many people are lilies. These flowers are beautiful, available in a variety of colors, and common in cut flower arrangements. They are also easy to grow and are found in many gardens. But, they can be very dangerous for cats. 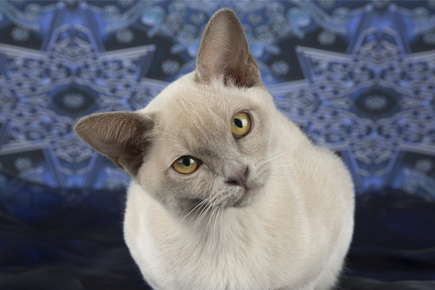 The Animal Poison Control Center operated by the American Society for the Prevention of Cruelty to Animals reports that the number of feline lily toxicity cases has been increasing every year. Cats actually seem to be attracted to lilies and will sometimes seek them out and ignore other non-toxic plants. All true lilies belonging to the Lilium and Hemerocallis (day lilies) species are toxic. This includes tiger lilies, Stargazers, and Easter lilies. All parts of the plant, including the stems, leaves, petals, and stamens are toxic. Even the pollen is toxic. Outdoor cats walking through the plants or rubbing up against the flowers may get pollen in their coats. Later they can ingest the pollen when they groom their fur. The toxic chemical in the plant has not been determined and dogs are not affected. Lilies cause kidney damage in cats. Even what may seem like a small exposure such as biting a leaf can cause a cat to die from kidney failure. Usually cats vomit after exposure and develop acute kidney failure within 24 to 72 hours. This phase causes more vomiting, depression, dehydration, and a lack of appetite. There is a "golden window" of opportunity of 18 hours for treating lily toxicosis. That is, most cats treated within 18 hours survive if treated aggressively with hospitalization with intravenous fluids, oral activated charcoal to bind the toxin, and sometimes cathartics. Therefore, even if the exposure is not certain, but is a possibility, it is best if the cat is examined by a veterinarian immediately. Changes in blood tests for the kidneys (BUN, creatinine, and phosphorus) can be seen as early as 12 hours after ingestion. If it is longer than 18 hours since the cat was exposed, treatment is still performed as there is yet a chance the kidney tubules can compensate. What can you do to avoid lily toxicity in cats? Don't plant lilies in your garden if your cats go outdoors, or better yet, don't allow your cats to go outside. When you order flowers from a florist for yourself or a friend who has cats, tell them not to include lilies. If you buy a flower arrangement from a grocery or other store, inspect it carefully for any flower that looks like a lily. In spite of all this, if your cat is exposed to a lily, take the kitty to your veterinarian right away!